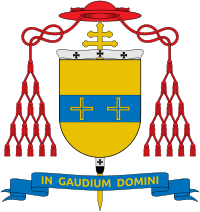 Il Servizio Petrino: Cardinal Raymundo Damasceno Assis is the archbishop of Aparecida and the the president of the Brazilian episcopal conference. 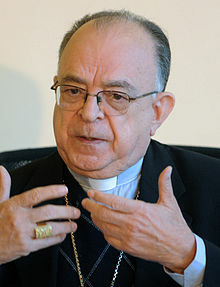 Cardinal Raymundo Damasceno Assis is the archbishop of Aparecida and the the president of the Brazilian episcopal conference. "Beyond the importance of his teaching for the whole Church, Pope Benedict XVI manifested a particular affection for Brazil," Cardinal Damasceno Assis reflected. "He canonized the first Brazilian saint, Saint Anthony of Sant'Anna Galvão, and he convoked the 5th General Conference of bishops of Latin America and the Caribbean at Aparecida, which he opened on May 12, 2007. His opening address at the 5th conference is one of the most important addresses of his pontificate." Though a papal resignation is virtually unprecedented, the cardinal said Catholics should live this historical moment with "great serenity" as well as "union of prayer for Pope Benedict XVI and for the Conclave that will elect the new Pope." "Christ is the Supreme Pastor of the Church and the Holy Spirit assists her in her historical journey," the cardinal reminded. "The chain of links in the succession to the Chair of Peter has never been interrupted. Let us pray that the new Pope will have much wisdom and strength to lead 'Peter's bark' and guide the People of God."